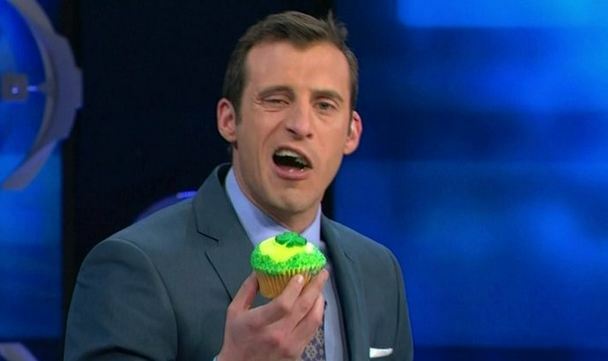 Doug Gottlieb may not stay at Fox for long. Former Oklahoma State player Doug Gottlieb will interview for the Cowboys’ men’s basketball head coaching job Thursday, sources told ESPN. Gottlieb has worked for ESPN and CBS, and he recently agreed to a deal with Fox. He does not have any college coaching experience, but sources told ESPN that athletic director Mike Holder is intrigued by the idea of Gottlieb and his potential. Doug Gottlieb will soon be the first person ever to interview for a job (Oklahoma State) 24 hours after having a new job announced (FS1). This isn’t the first time the idea of Gottlieb as Oklahoma State head coach has come up. In fact, Gottlieb was mentioned as a candidate last year even before then-head coach Travis Ford was fired. Although the Cowboys eventually went with Underwood, Gottlieb had significant support (including from Eddie Sutton, his former coach). Can Gottlieb make the transition from punditry to being a head coach at the NCAA level? We’ll see, and we’ll see if he even gets the chance. Oklahoma State may well go in a more conventional direction, and Gottlieb may stay at Fox Sports as planned. But this is definitely an intriguing story, especially with Gottlieb changing jobs so recently. And it means we might see a recurring presence in This Week In Hot Takes join the coaching ranks.